Hormonal imbalance diet: I feel fortunate to have come across Dr. Surabhi Jain. 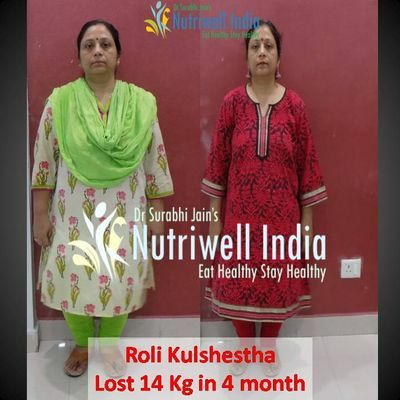 She is a very competent dietician based in Indira nagar. When I approached her, my major problem was hormonal imbalance .I followed her diet plans for five months and lost 14 kgs of body weight. After this significant weight loss, the issue of hormonal imbalance is almost resolved. I feel quite energetic and light. She definitely gave me the best hormonal imbalance diet. I appreciate Dr Surabhi Jain for being an excellent professional, for her timely follow up sessions and for leading a well mannered and polite team in her office . Last but not the least ,I sincerely wish her good luck for all her future endeavors. Thank you team Nutriwell!